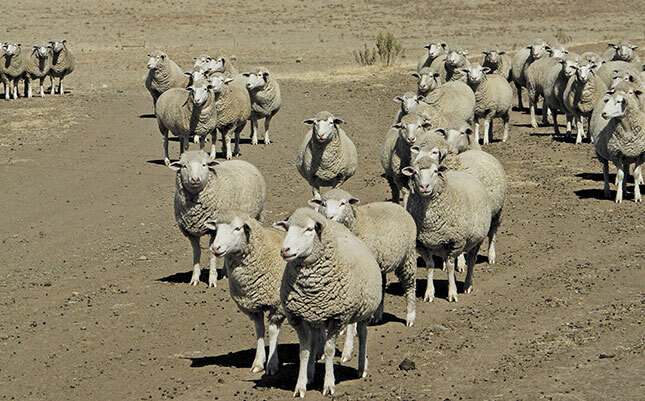 It is perfectly possible to farm sheep profitably on a small piece of land, says Jannie Fourie, National Wool Growers’ Association production advisor. To do this, never exceed the carrying capacity of your land, manage your operation carefully, and keep a record of everything. A small number of well-managed, productive animals may make you more money than a larger number of animals in poor condition. To run sheep on a very limited area, it is necessary to measure the effectiveness of each aspect of the operation. Carrying capacity: don’t guess, find out! To begin, you have to determine the carrying capacity of the land: how many sheep can be kept on the land without damaging the soil and destroying the grazing? The best way to determine this is to consult an experienced farmer or other expert who knows the area. 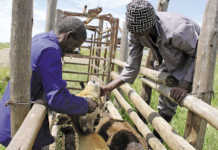 If he tells you that the carrying capacity is four sheep/ha and you farm on 10ha, your land can carry 40 sheep, no more. If you exceed this number, the veld will be overgrazed and the soil structure will be damaged. This will lead to erosion which will in turn reduce the carrying capacity of the land. Poor grazing will also force you to buy animal fodder. This is unlikely to improve production and will only keep the animals alive. Weakened ewes will not have enough milk to rear lambs and it is highly unlikely that they will conceive in the next breeding season. Wool growth will be poor. Lambs that are forced to survive on a meagre milk supply and poor quality feed will grow into feeble ewes with poor mothering ability and stunted milk and wool production. Keep livestock numbers at or below carrying capacity. Look after your land and you will reap the rewards. The ewes will be in good condition with enough milk to raise strong, healthy lambs. The animals will react better to inoculations and dipping. Healthy ewes and lambs mean good wool and meat production. Remember, a smaller number of strong animals can be worth more than a larger number in poor condition. The lambs can be weaned earlier, grazing will recover sooner and the ewes will quickly regain condition and conceive more easily. Ensure that your sheep always have access to proper shelter, sufficient fresh drinking water, and fodder in clean feeding troughs. Plan to have enough feed and roughage to carry the flock over the winter months. If the animals are kraaled at night, the kraal should be big enough to ensure ample space for the animals as well as their water and fodder. Disinfect the kraal regularly to prevent the spread of diseases and internal and external parasites. Manure from the kraal can be used for vegetable gardens and to reduce fertiliser costs. Take care of the details! Inoculation: It is crucial to follow a proper inoculation and dosing programme. Keep a record of the dates of dosing or inoculation and the quantity used on each sheep. 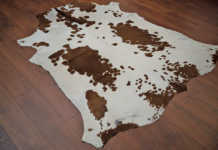 Hooves: Trim the animals’ hooves regularly, especially if they have to walk long distances to and from grazing. 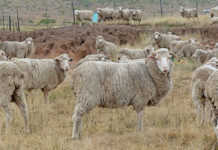 Clean wool: To ensure good clip prices, keep the wool on the sheep free from thorns and grass seed. Replacement ewes: Replace old ewes with young ones as required. Old ewes will not lamb as regularly as young ones because they find it more difficult to graze the older they get. Sell the lambs and the old ewes at market prices, weighing the animals before putting them up for sale. You do not need expensive electronic scales; a set of hanging scales work just as well. Keep records: In addition to keeping records of inoculations, newborn lambs, the sale of ewes and so on, it is extremely important to keep a record of expenses and income to determine the profitability of the operation. Without this, you cannot run a business successfully. A small sheep farming concern calls for dedication, discipline and a genuine concern for the animals. As already mentioned, sheep farming is not simply about numbers. A small number of well-managed, productive animals may make you more money than a larger number of animals in poor condition. In the same way, a small piece of land that is well looked after will serve you better than a large farm where the veld is overgrazed. The only equipment you really need is a hanging scale. With these few basics, you can become a proud and successful sheep farmer.